Auckland is a city rich with history and culture. During your stay at Auckland Newmarket Motel in Epsom, take the time to explore the many historical sites on offer. 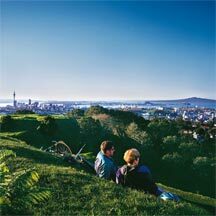 Visit One Tree Hill, a Maori pa site; Devonport on the North Shore, one of the earliest settled in areas in Auckland; or North Head, close to Devonport, which features military bunkers, guns aimed out over the harbour and tunnels which can be explored! Return home after a long day exploring to our Auckland motel accommodation, for a relaxing, comfortable stay. 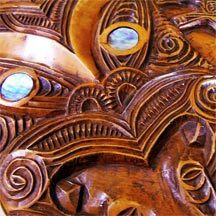 Maori oral history maintains that the Maori came to the islands of New Zealand in waka (canoes) from other parts of Polynesia. Of all the waka that visited the region, the Tainui, whose descendants were known as Ngaoho, has had the most lasting impact. This waka called in at many places before being hauled across the isthmus where Auckland is now situated to the Manukau Harbour. Archaeological evidence of human settlement dates back some 800 years and the earliest sites are mainly located along coastlines and harbour mouths. The picture that emerges is one of a distinctly Polynesian society that depended on fishing, the gathering of shellfish and edible plants, and (increasingly as the centuries passed) agriculture. Until the 17th century when tribes from the north and south challenged the isthmus dwellers, things were relatively peaceful. However, by the time European settlers arrived in 1839, tribal warfare, disease and destruction of the area through hunting and forest clearance had depleted the Maori populations. A pivotal date for Auckland is 1840. The year began with the signing of the Treaty of Waitangi, commonly seen as New Zealand's founding document. In Auckland, local chiefs gathered at Karaka Bay, Awhitu and Mangere to sign or put their marks to the document that promised protection of Maori land if the Maori recognised British sovereignty. The Treaty of Waitangi grounds are located in Northland at Waitangi, around a 3.5 hour drive from our Auckland Newmarket Motel accommodation. In this year too, William Hobson, Lieutenant-Governor of New Zealand, chose Auckland as the capital of the new colony, named for his naval commander George Eden, Lord Auckland. The city retained this distinction until 1865, when Wellington took over as capital. During the township's early years, relations with the Maori seemed quite cordial. Maori in fact supplied most of the fresh produce for the township; they traded widely and provided labour for public works and other projects. However, despite the treaty, the encroachment of European settlers on Maori land was continuous, leading to a series of skirmishes and conflicts. Barracks were built in Auckland and British troops called up. Most of the fighting took place in Waikato; however, some occurred on the southern borders of the Auckland region, around Pukekohe and Clevedon, around 40 minutes’ drive south from our Newmarket motel. This had a devastating effect on local Maori and many settlers also suffered heavy losses. Maori themselves refer to the land wars of the 1840s to '60s as Te Riri Pakeha, or 'white man's anger' and claim (as did some European observers of the day) that they were only defending their land and their culture. The result was massive confiscations of land, the ramifications of which are still being addressed today. The turn of the 20th century was an era of social and economic reform which made New Zealand a world leader in social welfare: the vote for women, the old age pension, a national child welfare program, minimum wages and a 40-hour working week were all brought in. However the country suffered heavily in WWI, with one in every three men aged between 20 and 40 killed or wounded fighting for Britain; and also during the Great Depression and WWII when war was declared in the Pacific and New Zealand was directly threatened. The Pacific War also brought many American servicemen to Auckland, and their influence still remains in some quarters. Things began looking up again in the post-war years, especially when Auckland hosted the Empire Games in 1950. In the 1980s, New Zealand declared itself a nuclear-free state, causing some friction with the US whose warships it refused entry, and the French who were testing nuclear weapons in the Pacific. In 1985, French secret service agents sank the Greenpeace ship, Rainbow Warrior in Auckland Harbour. The ‘70s and ‘80s also saw further friction between indigenous and non-indigenous populations, with a resurgence of Maori consciousness. In 1985 the Treaty of Waitangi was revisited, and while race relations remain an issue, Maori culture is now a significant part of the city's self-image. Auckland is now beginning to blossom. 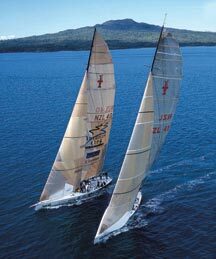 Perhaps the most significant event of the 1990s - at least a great cause for national celebration - was New Zealand boat Black Magic's historic win in the America's Cup race in 1995. Auckland's waterfront was given a facelift for the event in 2000, when the triumph was repeated. Now named the Viaduct, the Auckland harbour front is a great place to go for an evening meal during your stay with us at our Auckland motor inn. 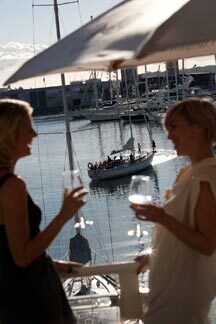 Now Auckland city, known as the City of Sails, is full of life, excitement and energy. A great place to visit and an even better place to live! Click here to view a great list of Auckland activities and attractions to explore while staying with us at our Epsom motel accommodation.